Rental management entails a host of tasks and activities that are ongoing and need to be executed with clock-work precision. Even a small slippage in maintenance of properties can result in high expenses and immense efforts. How would you ensure smooth running of the rental business which is a 24/7 operations? Inspirria Service Edge for NetSuite offers 360 degree controls and visibility to services and operations. As a complete solution for the rental business it tracks data of all the equipment and auto generates maintenance contracts as well as delivery, installation and preventive maintenance jobs for visibility of service contracts. Rental business is not about just maintenance of building and equipment. There is a critical element of customer service that can make a rental business thrive or close. Rental Edge offers appropriate tools and real time information which is essential in order to interact with customers for quick resolution of issues on a daily basis. The rental management system of Inspirria for NetSuite helps rental companies to maintain a constantly updated database of customers. This can aid traceability of each customer and vendor transaction and tracks chargeable and non-chargeable cases depending on the nature of the issue. Rental Edge is suitable for rental organizations of any size as it supports multiple subsidiary rental operations. Data can be accessed from anywhere with an at glance information on contract terms, scope, coverage, renewal time and so on. Rental business, which is replete with contracts, service agreements, purchase and maintenance of equipment, warranty and so on needs efficient administration that can attain high customer satisfaction. Provide that exceptional service and win customer loyalty through operational excellence. Get in touch with Inspirria to install rental management for NetSuite. Inspirria possesses deep experience in cloud technologies and has assisted companies to drive excellence to improve their RoI in business. Leverage the data driven cloud based technology to obtain higher business value. 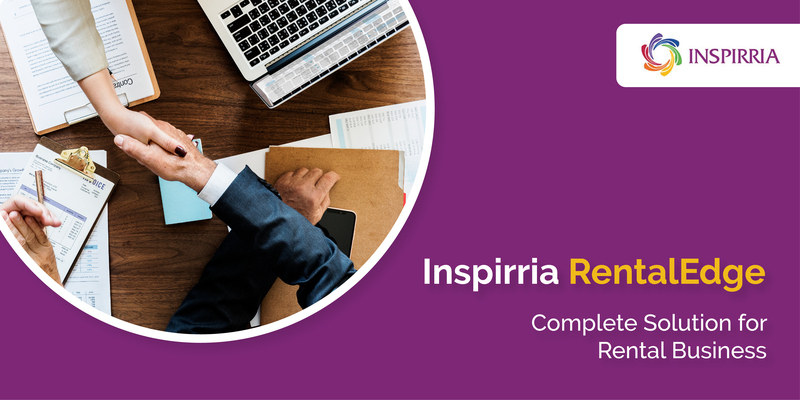 Connect with an Inspirria consultant today.